This British Army cavalry regiment was formed in 1685. It went on to serve in many campaigns until 1958, when it merged with the 8th Hussars to form The Queen’s Royal Irish Hussars. In 1685, in the midst of the Monmouth Rebellion, several independent troops of cavalry were raised in south-west England and Bradford. 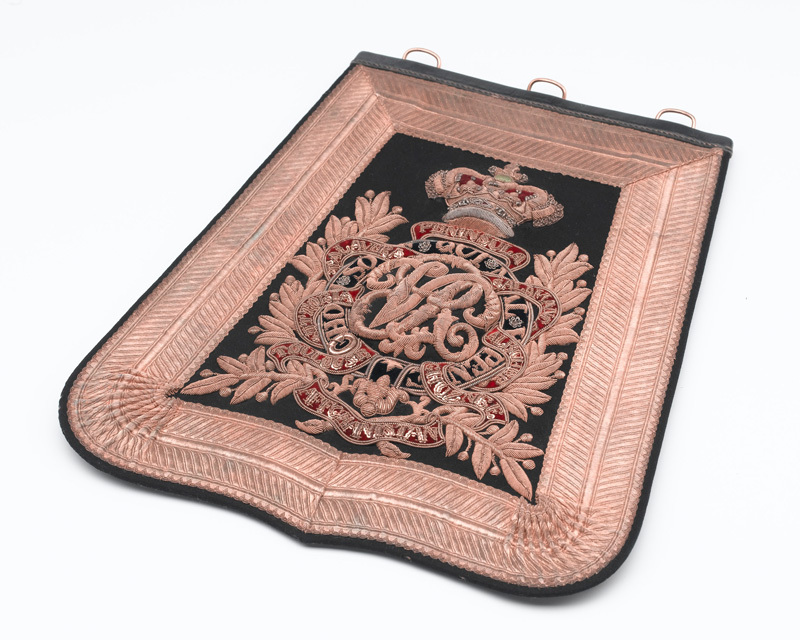 In July that year, these were merged into a single regiment of dragoons named after Anne, the daughter of King James II. Its first engagements were in the 1690s against the Jacobites in Scotland and Ireland, and against the French in the Low Countries during the Nine Years War (1688-97). It also fought in the War of the Spanish Succession (1701-14) in Portugal and Spain in 1706, and took part in a raid on Cherbourg in 1708. The regiment fought against the First Jacobite Rebellion in 1715. It returned to the Continent in 1742 during the War of the Austrian Succession (1740-48), where George Daraugh was commissioned from the ranks by King George II for saving one of the regiment’s standards at Dettingen (1743). It also fought in the Flanders campaign, including the Battle of Lauffeld (1747). From 1748, it remained in England for 60 years. During this time it gained its ranking of 4th in the order of precedence in 1751, and the prefix ‘Queen’s Own’ in 1788 after King George III’s wife, Queen Charlotte. It also helped to suppress the Gordon Riots in London in 1780. Its next foreign action came in 1809 with the Peninsular War (1808-14). There, it fought at Talavera, Busaco, Salamanca, Vittoria and Toulouse, only getting back to Britain in 1814. 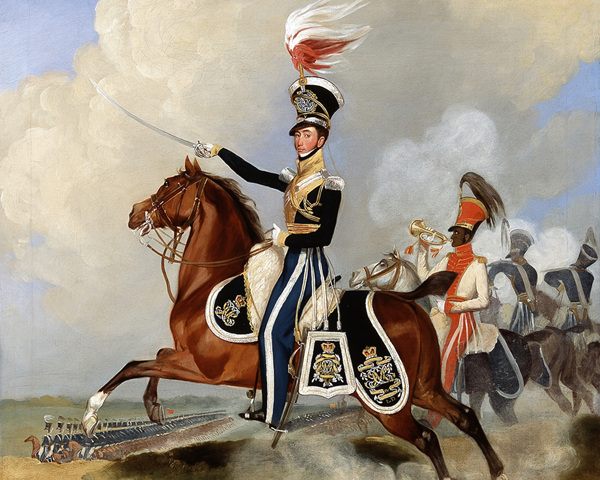 It then spent eight years in England, where it was designated a light dragoon regiment in 1818. It was sent on its first Indian posting in 1822. This lasted 20 years and saw it take part in the First Afghan War (1839-42) and the capture of Ghazni in 1839. The regiment was sent to the Crimean War (1854-56) in 1854. Brevet-Colonel Lord George Paget notoriously led it into the Charge of the Light Brigade at Balaklava (1854) smoking a cheroot and in 1874 became its full colonel. It converted into a hussar regiment in 1861. For almost 60 years after Crimea, the regiment alternated between garrison duty in England, Ireland and India. This was only interrupted when a detachment was sent to Egypt in 1883. 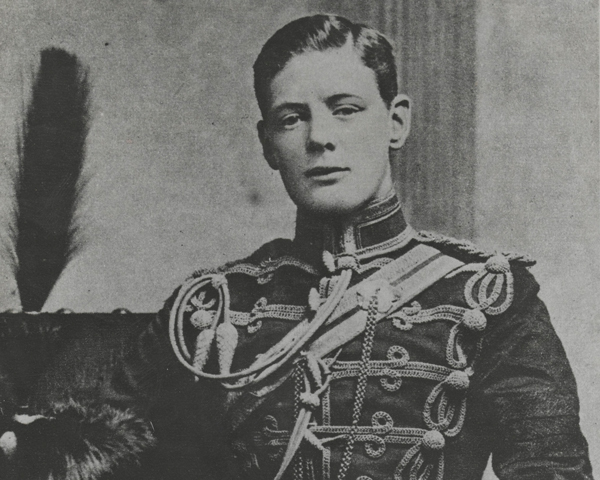 Winston Churchill was an officer in the regiment during this period. However, he spent much time as a war correspondent or on attachment to other regiments and found it hard to support the luxurious hussar-officer lifestyle. 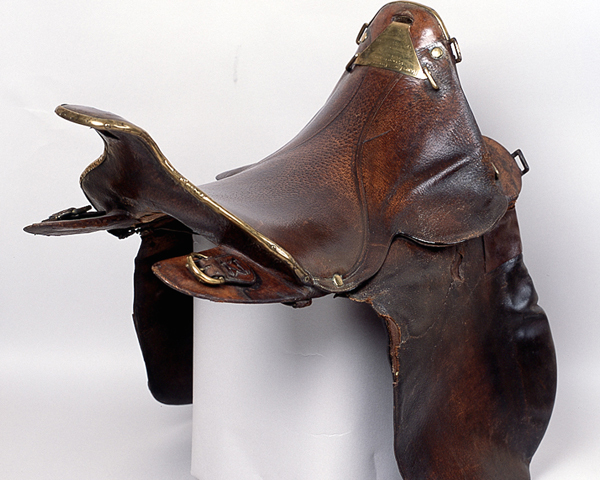 The regiment also sent men to reinforce other cavalry regiments during the Boer War (1899-1902). The 4th Hussars deployed from Ireland to the Western Front in 1914, remaining there for the entire First World War (1914-18). It took part in the Retreat from Mons, the First and Second Battles of Ypres (1914 and 1915) and several other engagements. The regiment spent the 1920s in India and the 1930s in England, mechanising in 1936 and joining the Royal Armoured Corps in 1939. 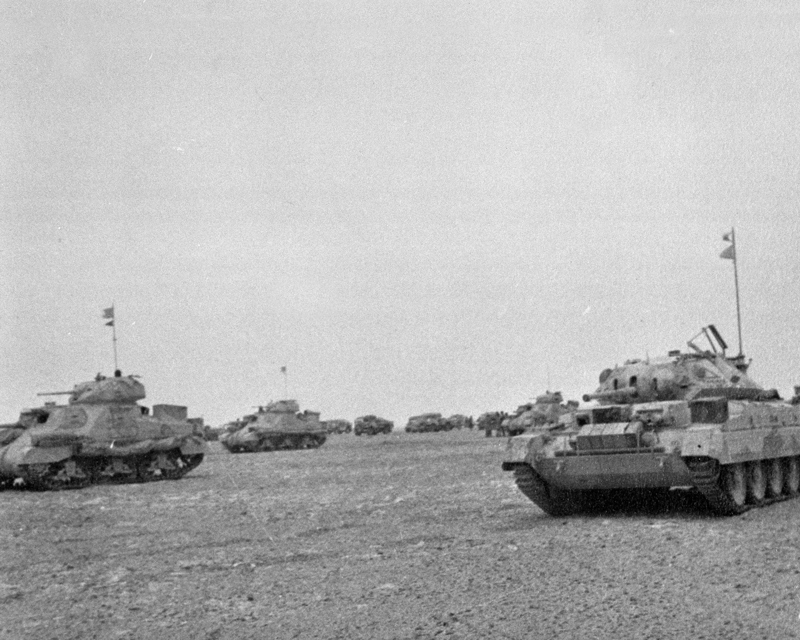 It then deployed to the Middle East in January 1940, before fighting in Greece (1941) and North Africa (1941-42), where it was heavily engaged at Gazala in May 1942 and Alamein in October 1942. It later deployed to Italy until the end of the Second World War (1939-45). Its first post-war duty was in Austria. It then served in Malaya from 1948 to 1951, operating in armoured cars on counter-terrorism duties. It spent time in England and Germany before amalgamating with the 8th King's Royal Irish Hussars in October 1958 to form The Queen’s Royal Irish Hussars. 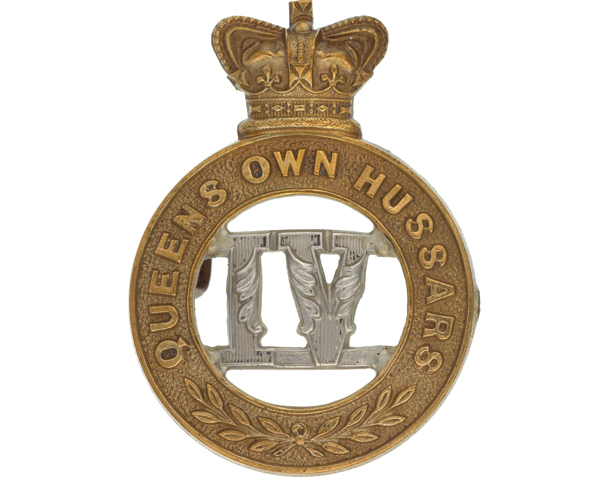 Explore the history and collections of the 4th Queen's Own Hussars by visiting the Queen's Royal Hussars Museum. Formed in 1958 from two existing armoured units, this regiment served with the Royal Armoured Corps until 1993, when it merged into The Queen’s Royal Hussars.